Akil Kureshi, J. – The petitioner has challenged a notice dated 30.3.2010 issued by the respondent – Assessing Officer to reopen the assessment of the petitioner for the Assessment Year 2005-06. “The assessee company filed return of income on 28.3.2006, declaring total income at Rs. NIL. Assessment u/s. 143(3) was finalized on 31.12.2007, determining total income at Rs. 370,12,92,640/-. 2. On verification of records, it is seen that the assessee has claimed interest expenses of Rs. 26,40,09,503/- on Deep Discount Bonds. Hence, it is seen that the assessee claimed the interest expenditure but no TDS was made from the same, even though there was redemption of DDBs to Nirma Chemical Works Ltd. Therefore, the claim was required to be disallowed u/s. 40(a)(ia), which has not been done. 2.2 The petitioner raised detailed objections to the notice for reopening under a letter dated 10.12.2010. Such objections were, however, rejected on 20.12.2010. Hence, this petition. (i) There was no income which had escaped assessment and in that view of the matter, the reasons recorded by the Assessing Officer lack validity. (ii) The entire issue based on which the notice of reopening is issued was minutely examined and the claim of the assessee was rejected by the Assessing Officer during the original assessment. (iii) The question of interest expenditure of Rs. 26.40 crores (rounded off) on deep discount bonds has merged with the decision of CIT (Appeals) in an appeal filed by the assessee. 4. On the other hand, learned counsel for the revenue submitted that in the reasons recorded, the Assessing Officer referred to non-deduction of tax at source on the interest expenditure which would invite disallowance under Section 40(a)(i) of the Act. This was not the ground on which the Assessing Officer had rejected the claim of the expenditure in the assessment. 5. Having thus heard learned counsel for the parties and having perused the documents on record, we may recall that in the reasons recorded the Assessing Officer referred to assessee’s claim of interest expenditure of Rs. 26.40 crores on Deep Discount Bonds. In his opinion, since on such expenditure, no tax was deducted at source, the same had to be disallowed in terms of Section 40(a)(ia) of the Act. It was on this premise that the Assessing Officer recorded his reasons to believe that income chargeable to tax has escaped the assessment. “In the light of all these observations, the claim of the assessee pertaining to accrued interest on these DDBs is hereby disallowed, thus Rs. 26,40,09,503/- is hereby disallowed. 7. The conclusion of the Assessing Officer is based on his perception that the liability to pay interest on this Deep Discount Bonds had not accrued and would accrue only at the end of the period of the bond. He was further of the opinion that deductions under Section 36 of the Act are such which may not be allowed as revenue expenditure unless provided under Section 36 of the Act. The assessee could not have claimed such expenditure on pro rata basis. Explanation. – For the purpose of this section, where any income by way of interest on securities is credited to any account, whether called ‘ interest payable account’ or ‘suspense account’ or by any other name, in the books of account of the person liable to pay such income, such crediting shall be deemed to be credit of such income to the account of the payable and the provisions of this section shall apply accordingly. 9. It can thus be seen that the Assessing Officer had examined the entire claim from various angles and concluded that the claim of expenditure of the assessee was not valid. That being the position, in plain terms he could not have resorted to reopening of the assessment on the ground that the expenditure had to be disallowed for not deducting the tax at source. Firstly, this aspect was also in his mind when he passed the order of assessment. Secondly, on various grounds he had himself rejected the claim. Having thus examined the claim and in fact, having rejected the same, the Assessing Officer must rely on the order of assessment. He cannot issue a notice of reopening on this very ground which he rejected in the order of assessment. In fact, when reasons were recorded and the notice for reopening was issued, his view on this issue was confirmed by the CIT (Appeals). Though we are informed that subsequently the Tribunal had allowed the assessee’s appeal on this issue; on the date on which the reasons were recorded and notice was issued, the order of CIT (Appeals) prevailed. On all grounds therefore, we cannot uphold the impugned notice. 10. Learned counsel for the revenue tried to bring in the observations made by this Court in case of Gujarat Power Corpn. Ltd. v. Asstt. CIT  350 ITR 266/ 211 Taxman 63 (Mag. 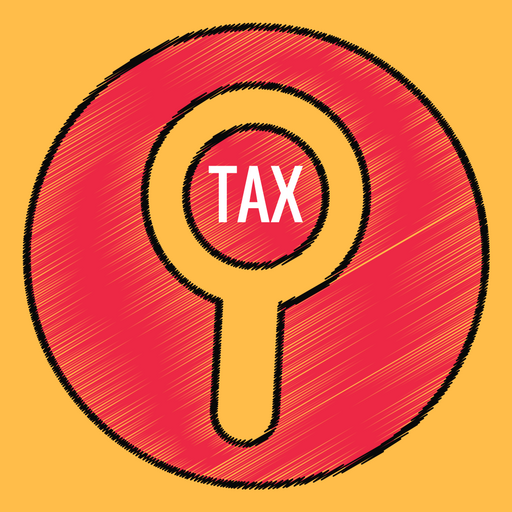 )/26 taxmann.com 51, to contend that if an element of a claim had not been examined during the scrutiny assessment, reopening on such basis may still be, in a given case, permissible. Quite apart from very limited application of such observations in exceptional cases, obviously the same would not apply when the Assessing Officer has rejected the claim. In other words, there cannot be a reopening of assessment for rejecting a claim on an additional ground which for whatever reason the Assessing Officer did not press in service during the original assessment. In fact, in the present case, he did not even miss-out on the later ground on which the notice for reopening has been premised. For all the reasons, the impugned notice dated 30.3.2010 is quashed. Petition is allowed and disposed of. This entry was posted in Sec. 194A, Sec. 36(1)(iii), Sec. 40(a)(i), Section 147 and tagged 397 ITR, Gujarat High Court, In favour of Assessee.